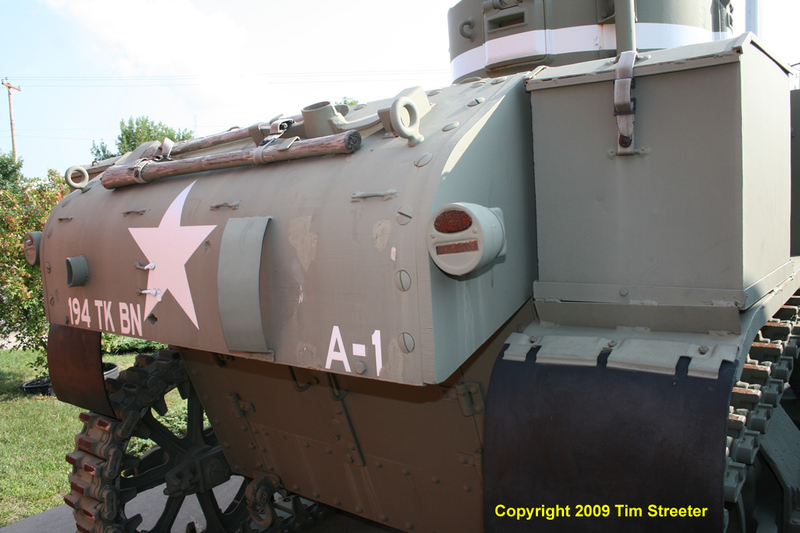 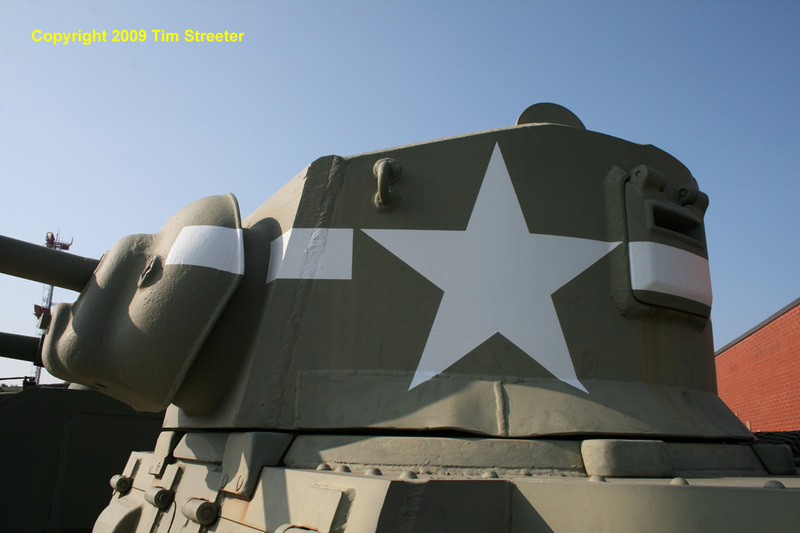 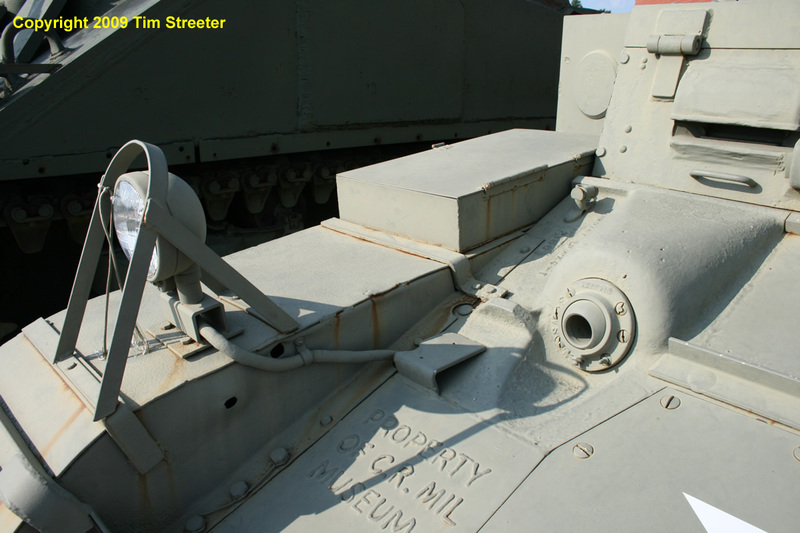 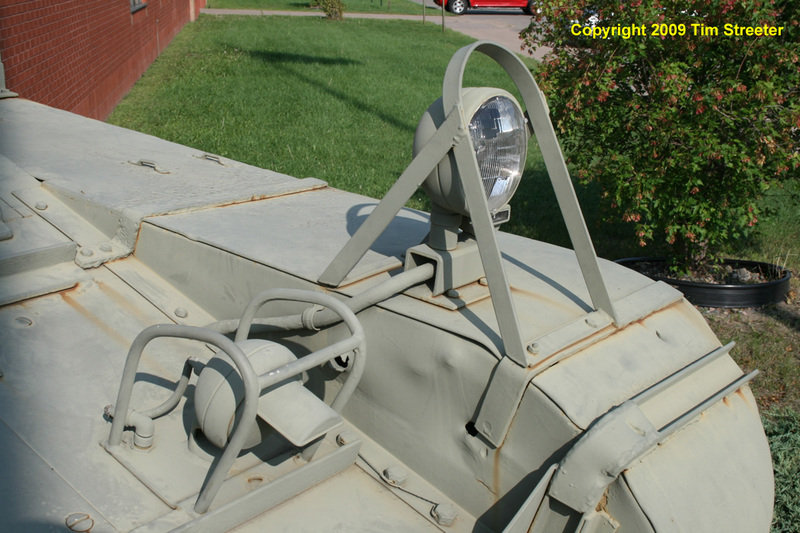 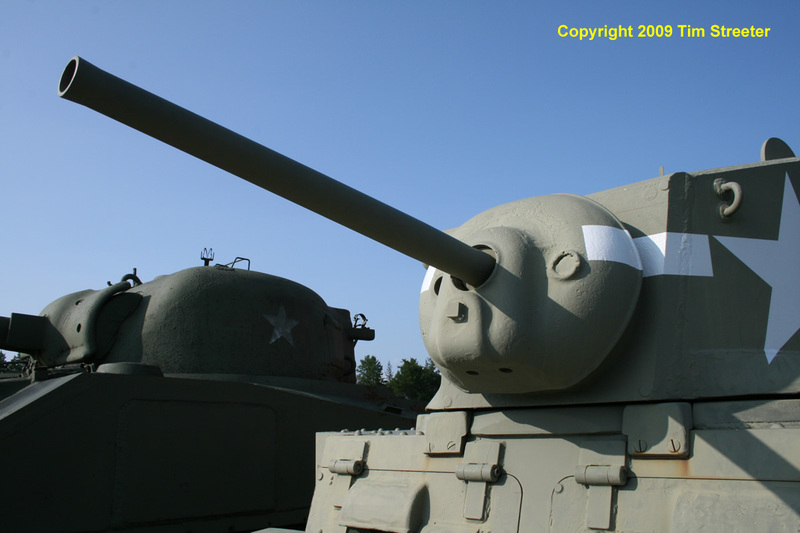 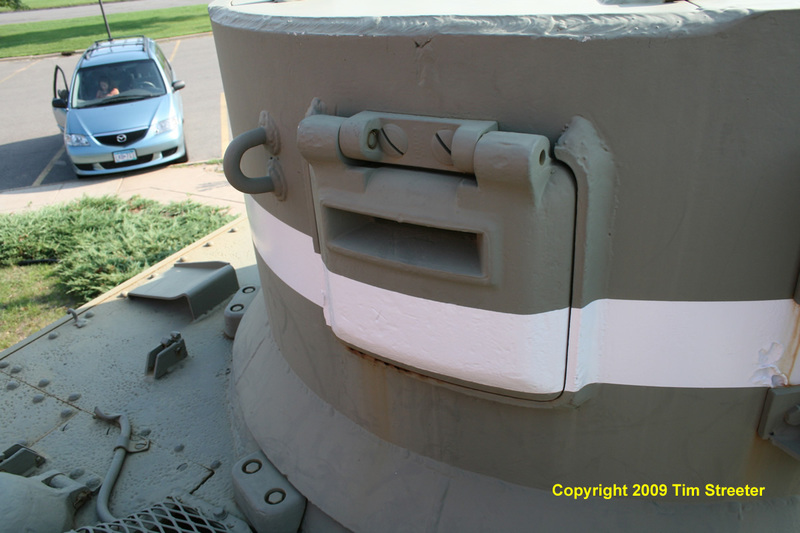 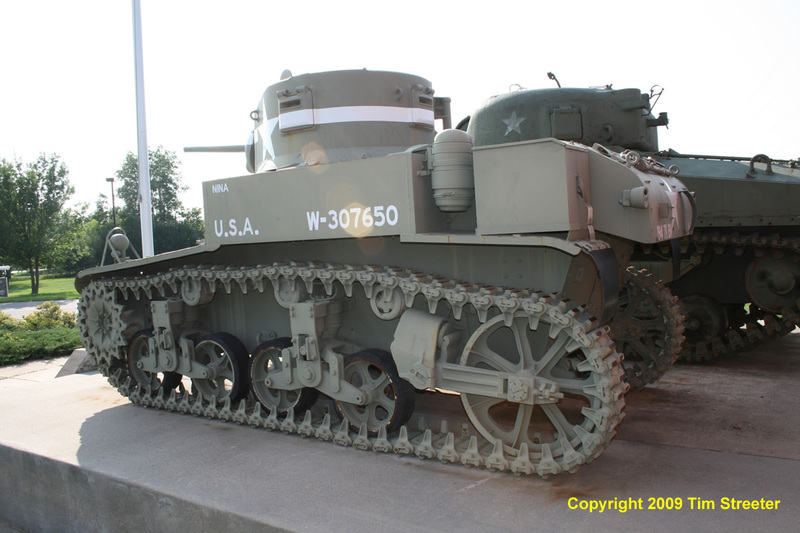 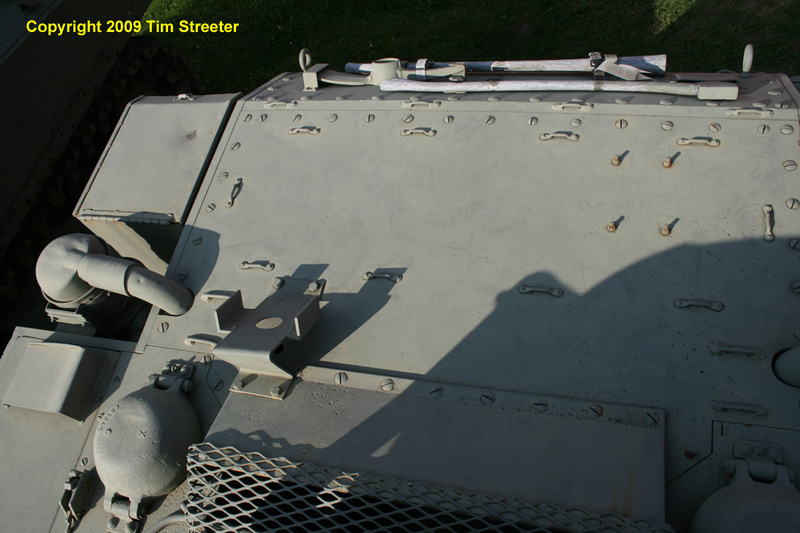 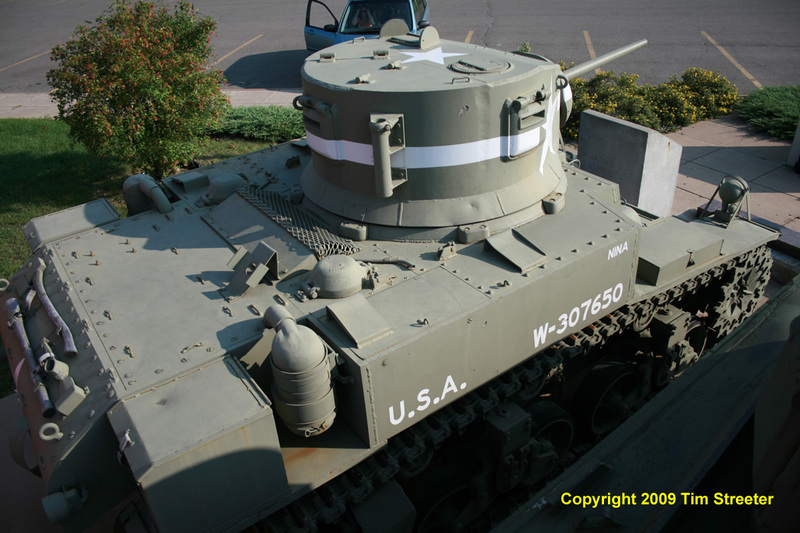 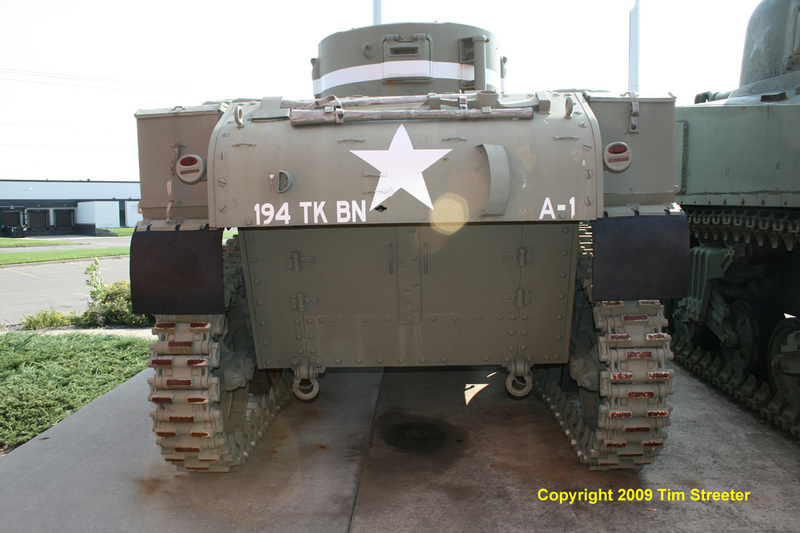 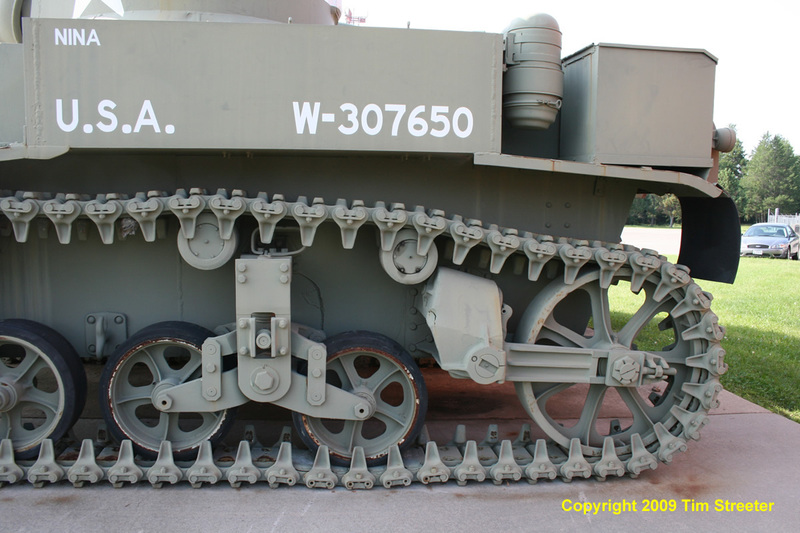 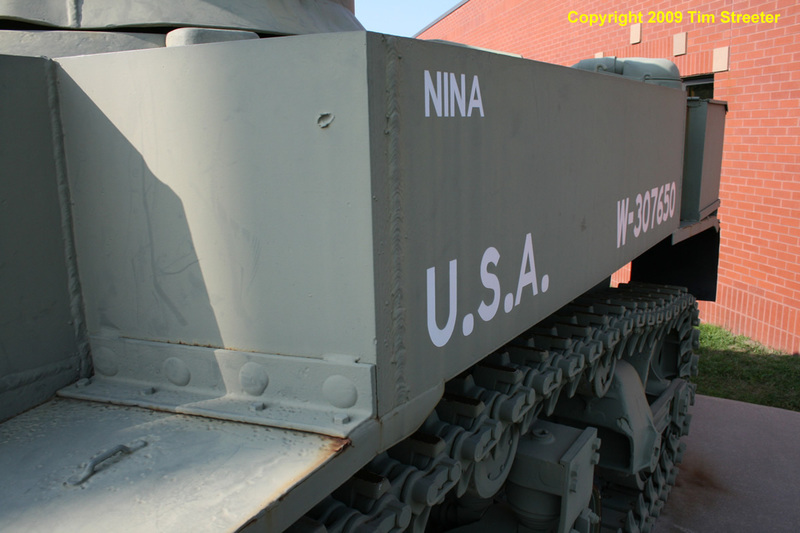 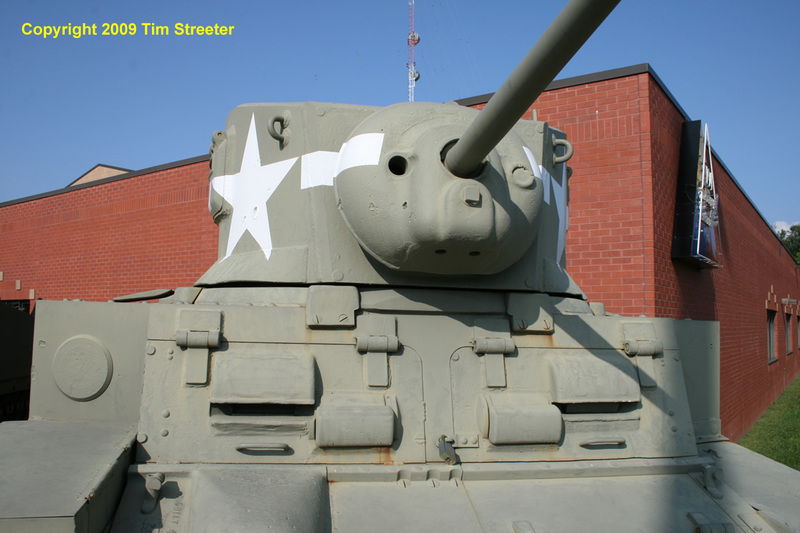 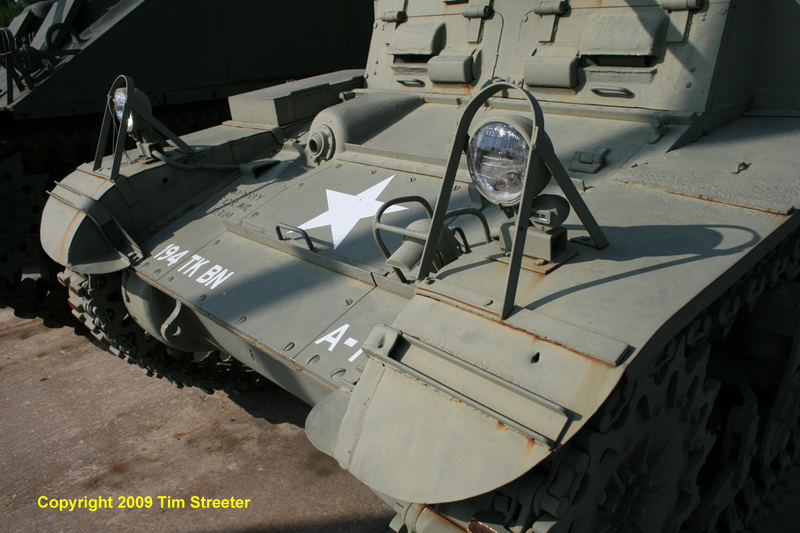 This M3A1 Stuart was photographed at the National Guard Armory in Brainerd, MN, in August, 2009. 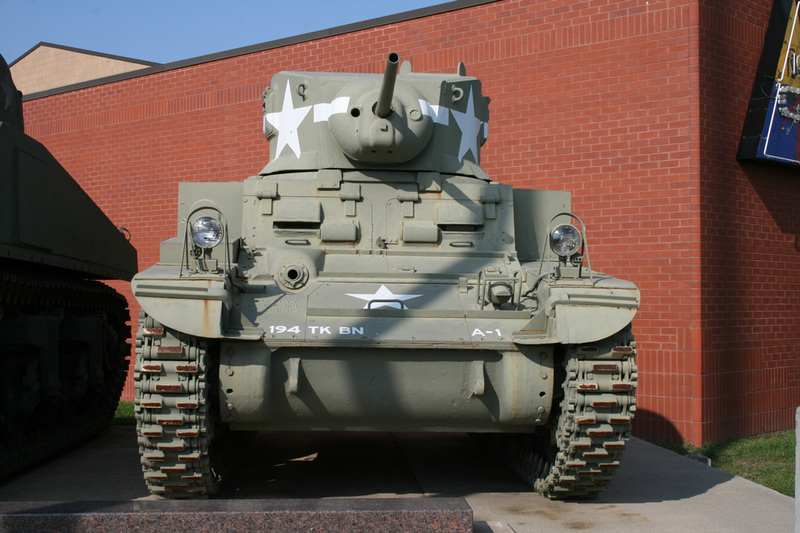 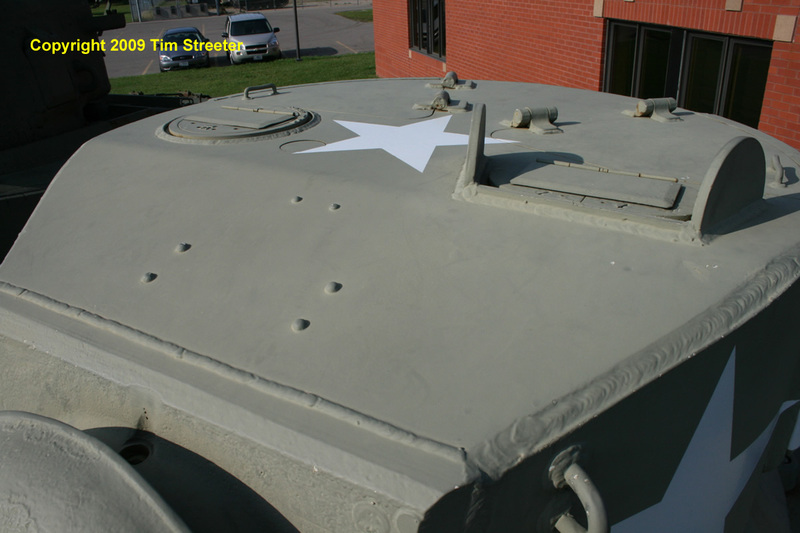 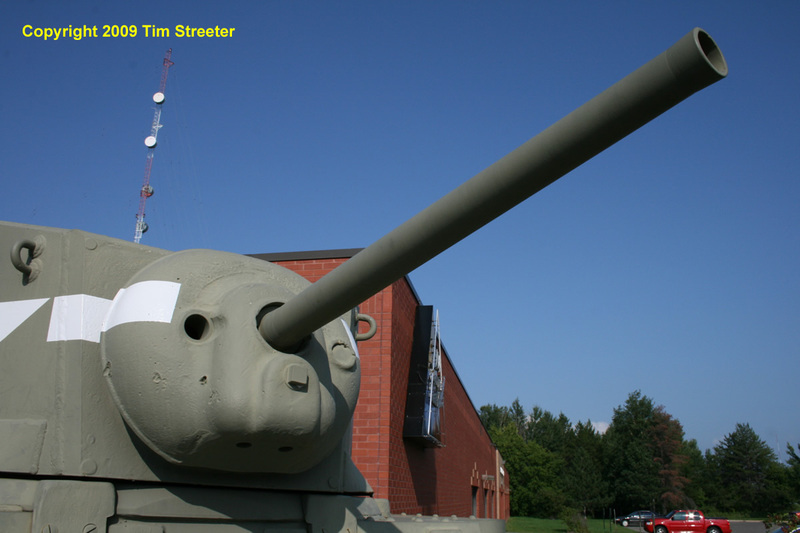 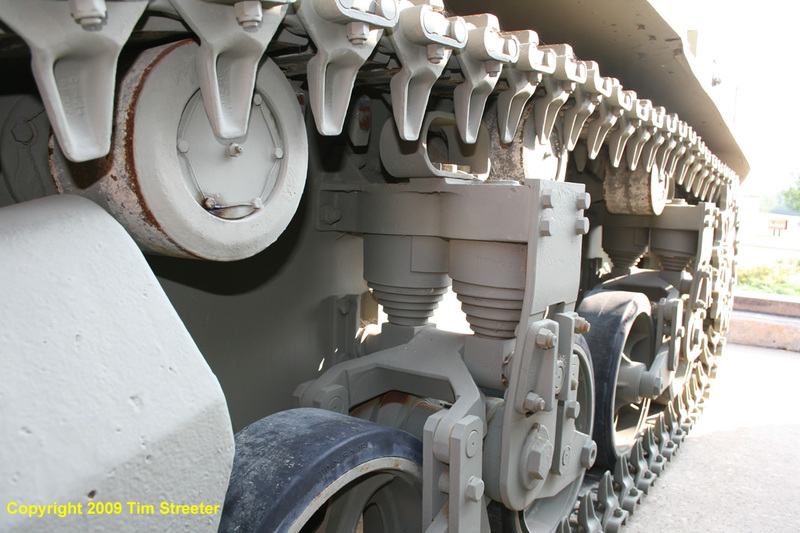 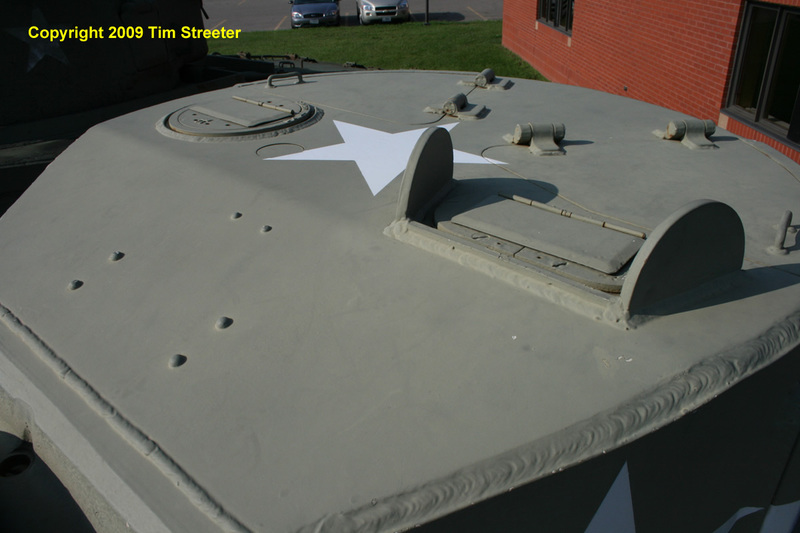 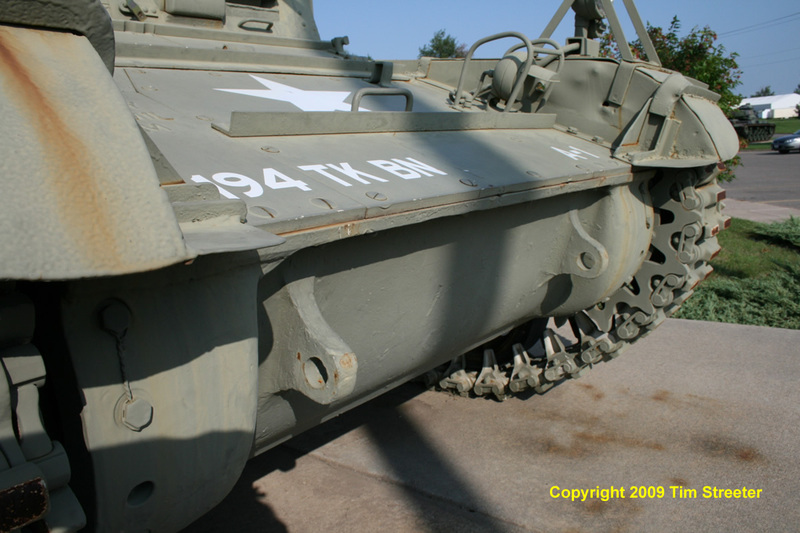 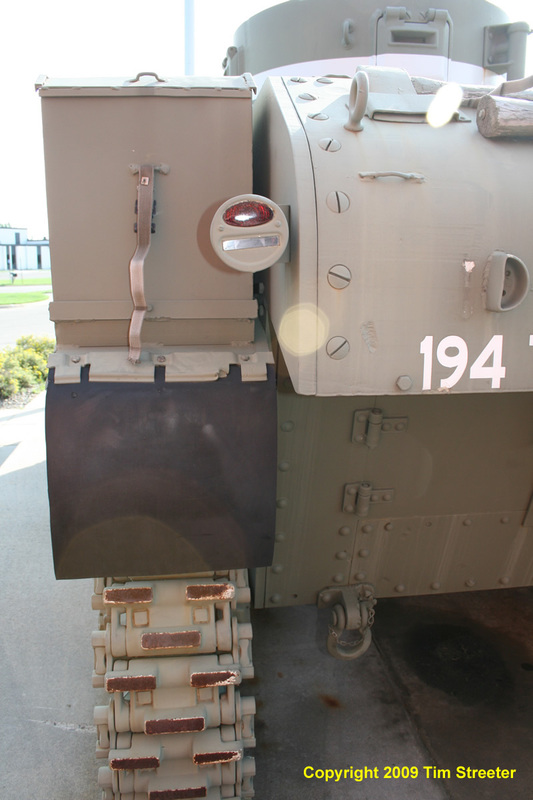 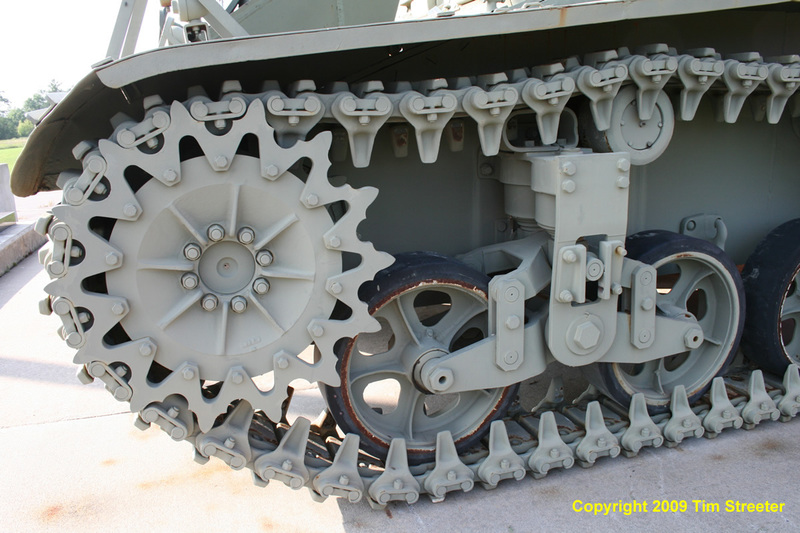 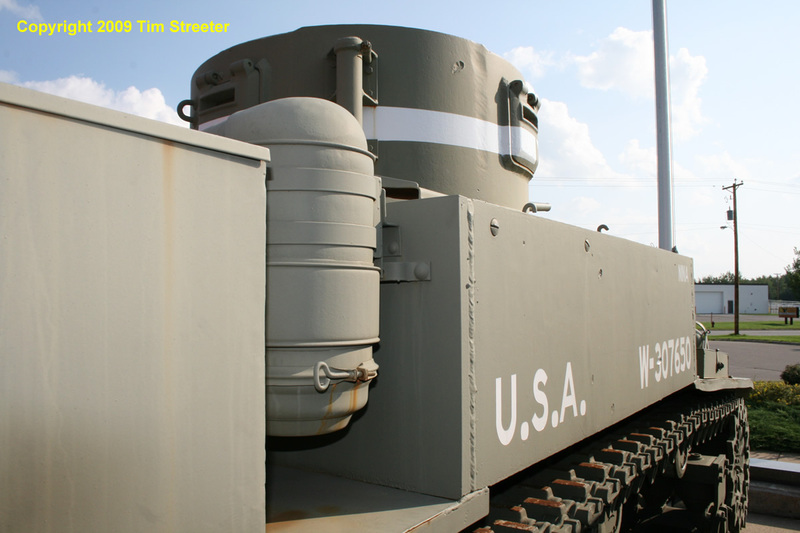 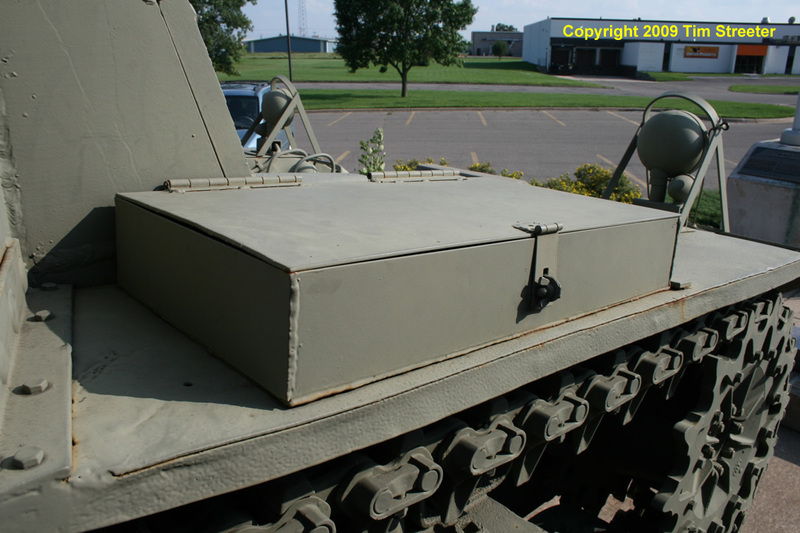 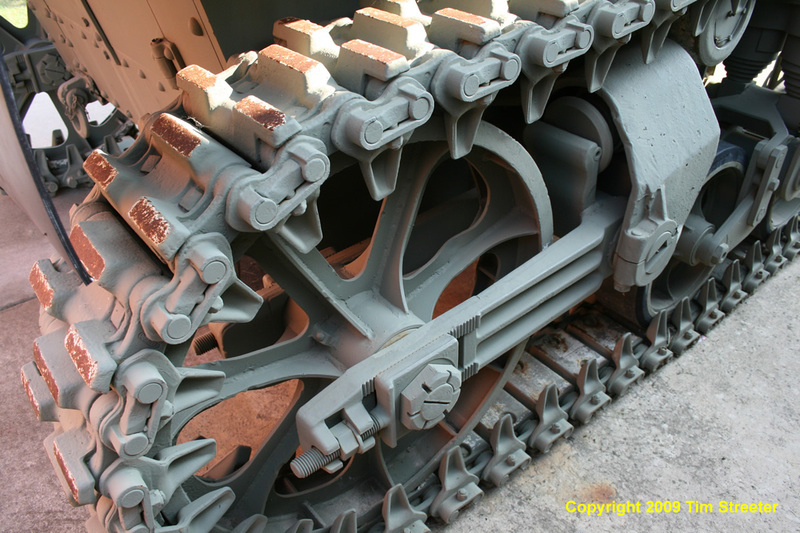 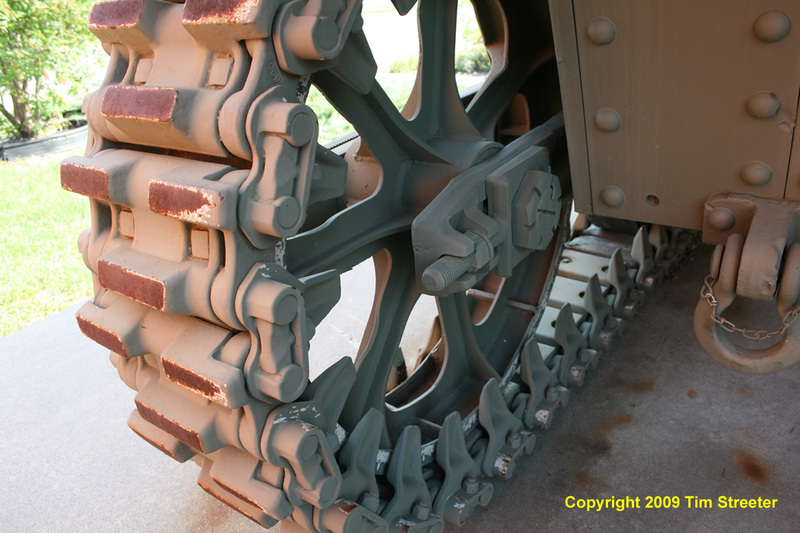 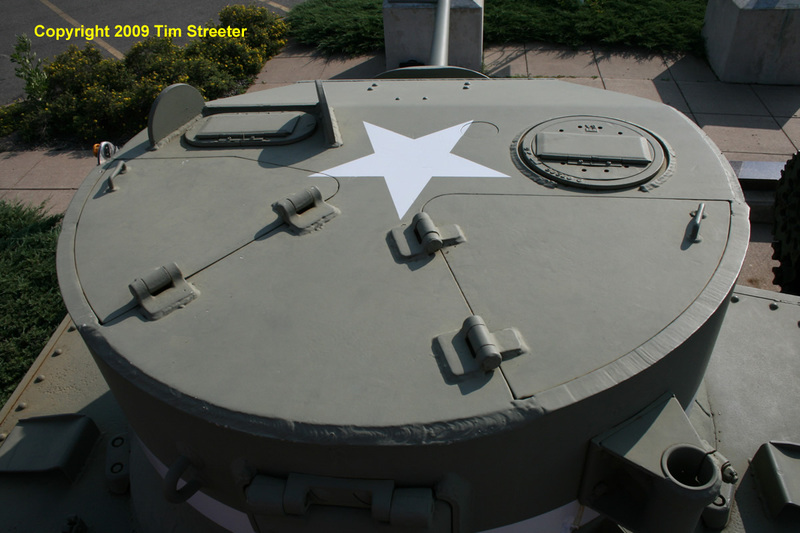 It sits alongside an M4A3 Sherman, and both are on loan from the Minnesota Military Museum located at Camp Ripley, MN. 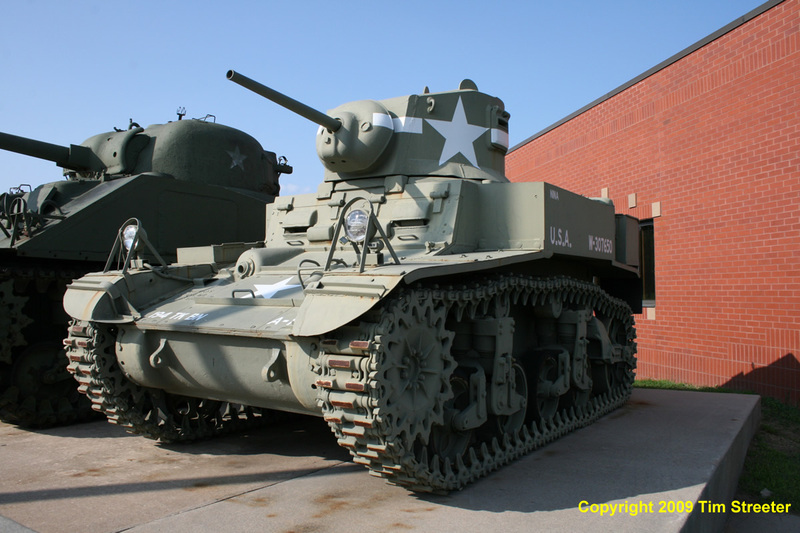 These photos will help modelers who are building the Academy M3A1 Stuart or the older and less accurate Tamiya M3 kit. 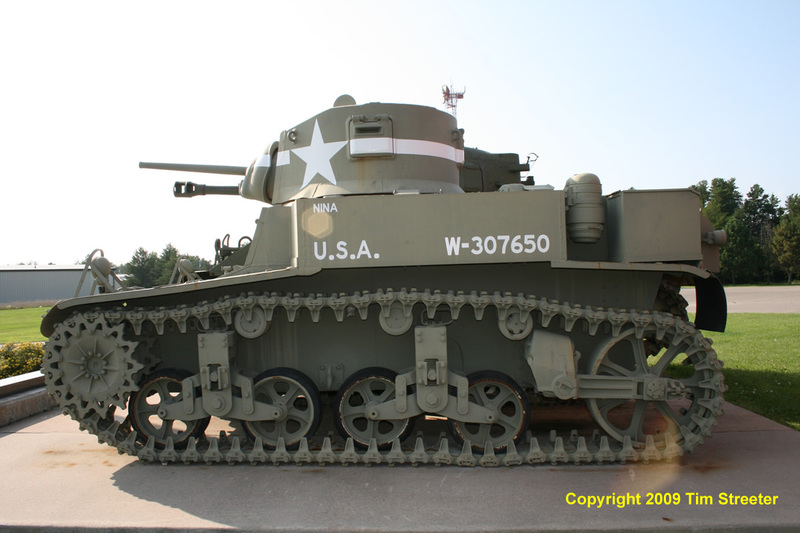 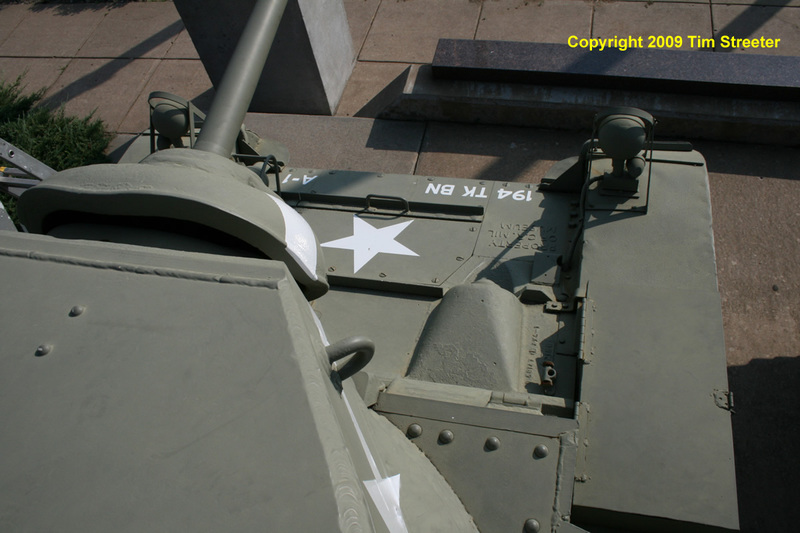 The M3A1 was the follow on to the M3 light tank, incorporating various improvements. 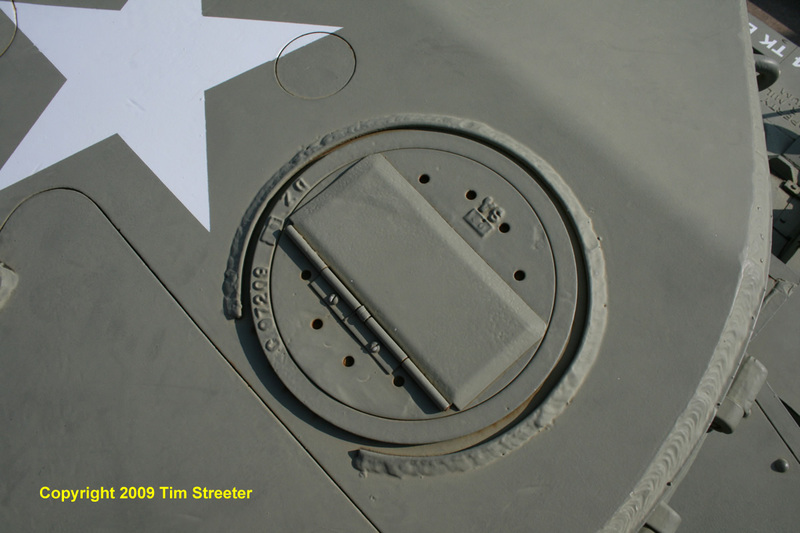 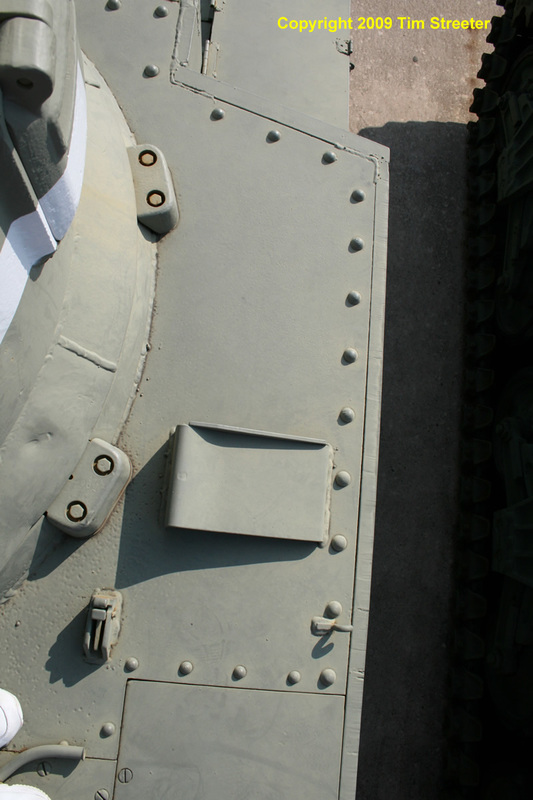 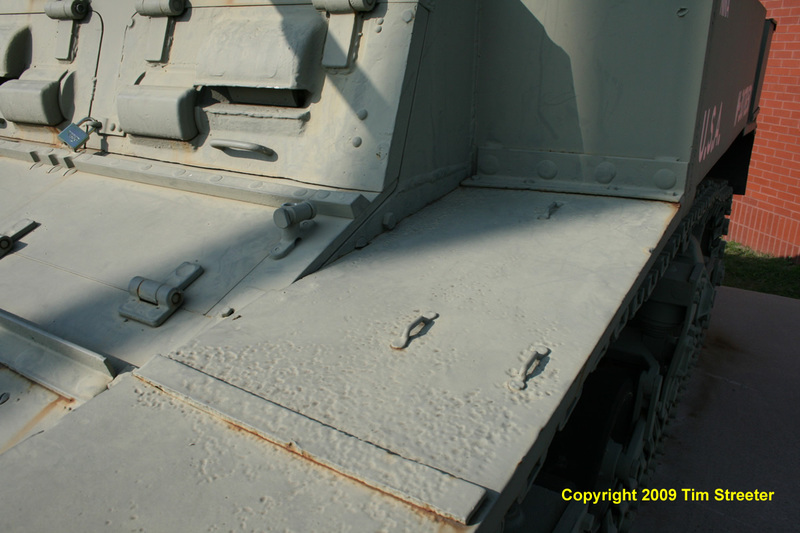 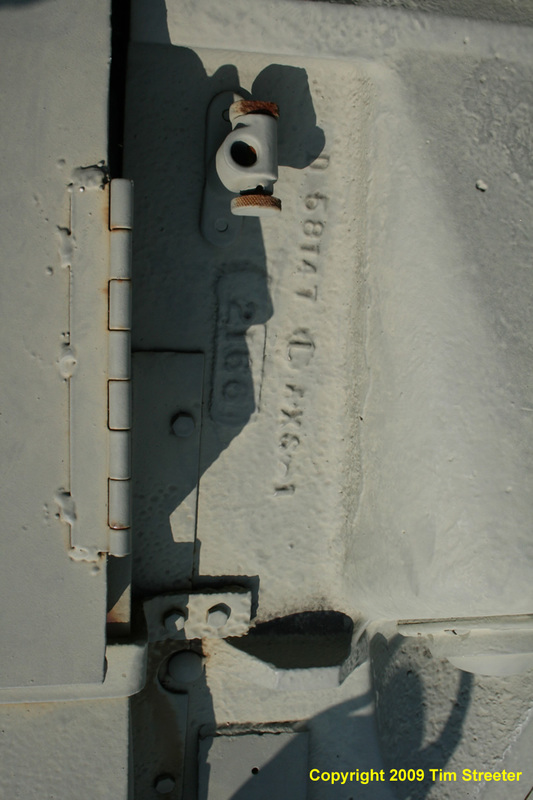 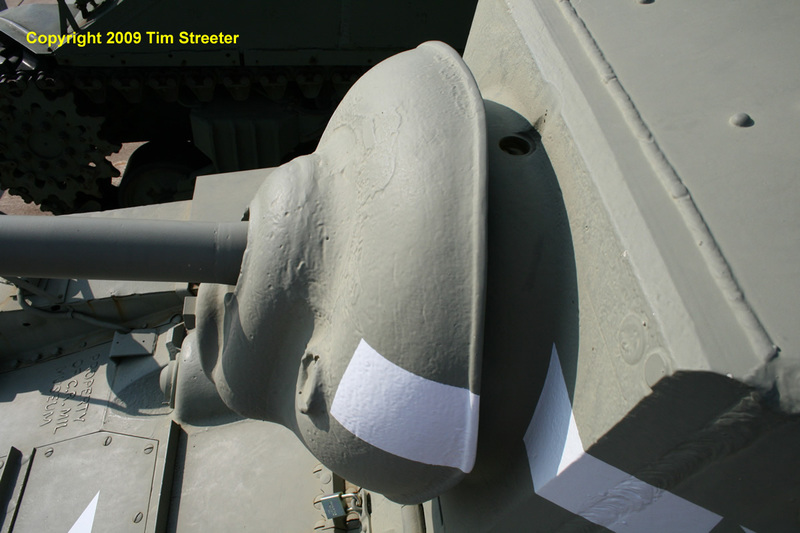 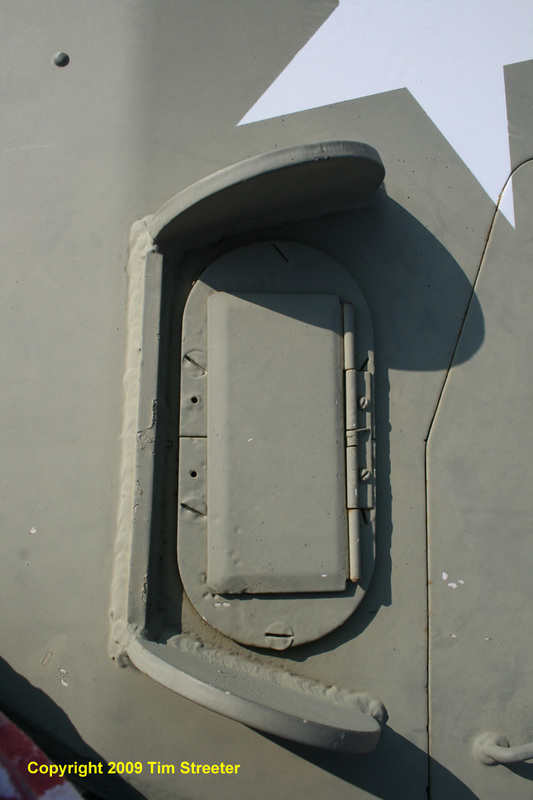 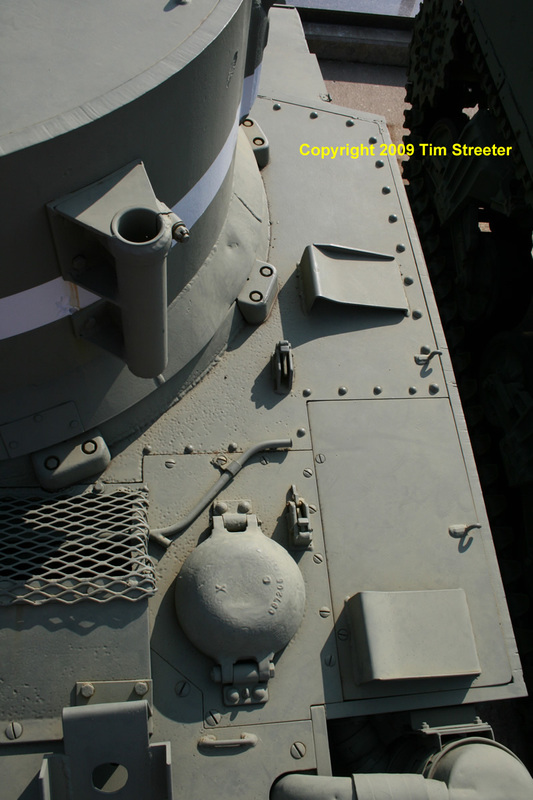 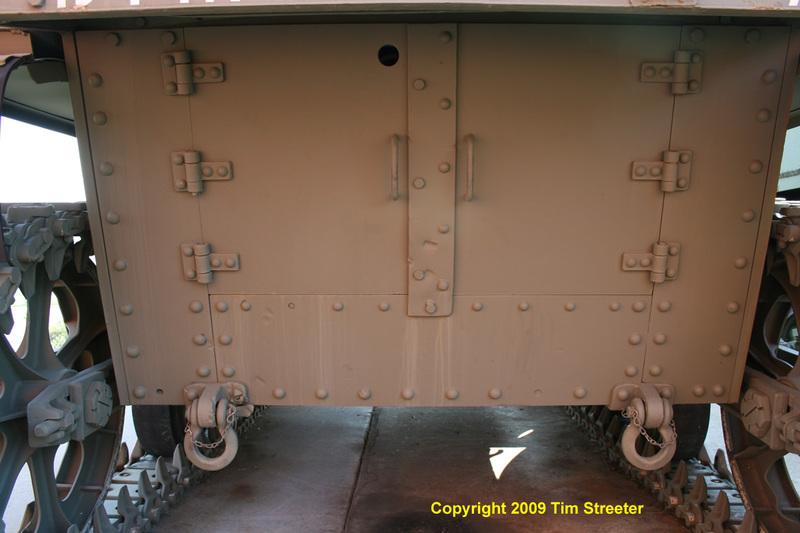 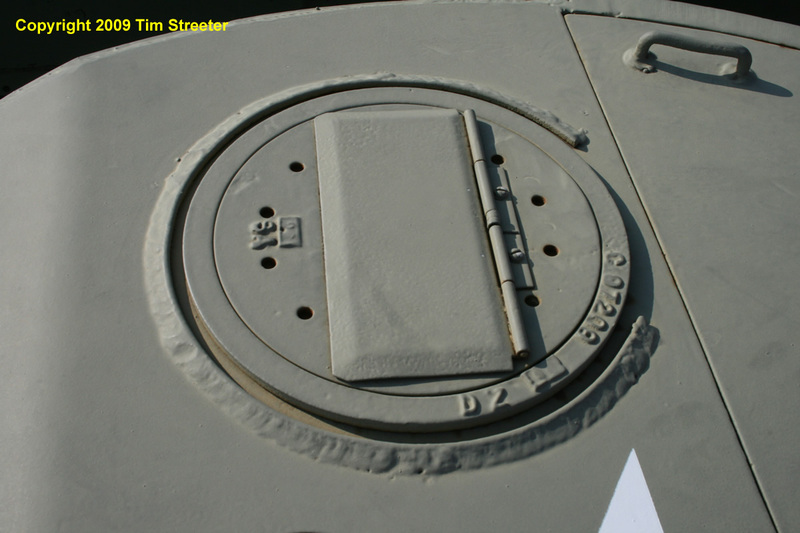 Notably, in an attempt to speed up production, the M3A1 hull dispensed with many of its rivets and instead the plates were welded together (a necessary correction on the Academy kit. 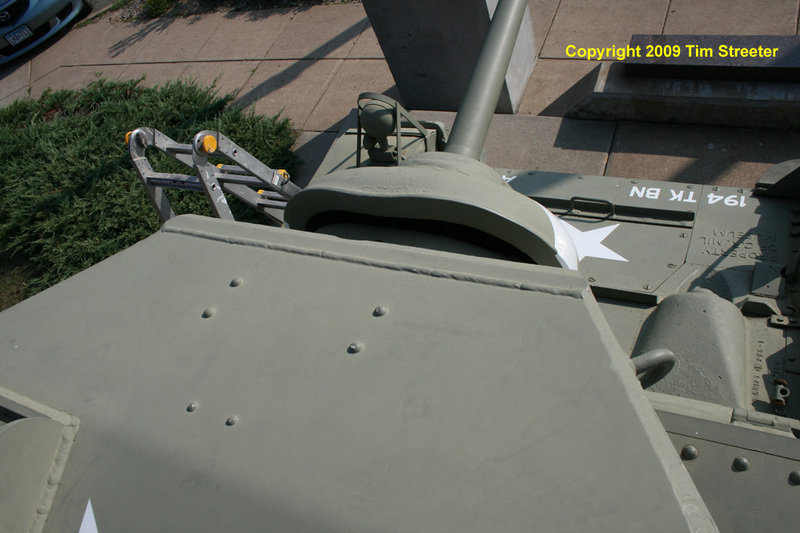 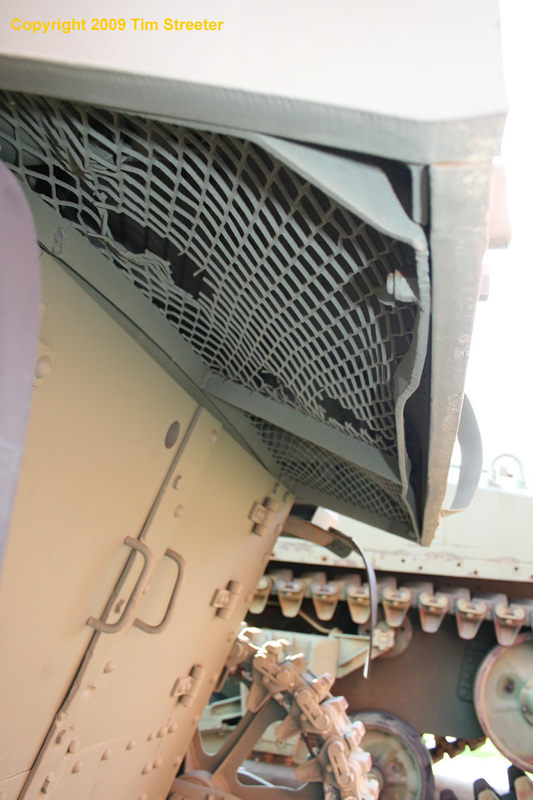 The commander's cupola was eliminated as were the fixed sponson machine guns. 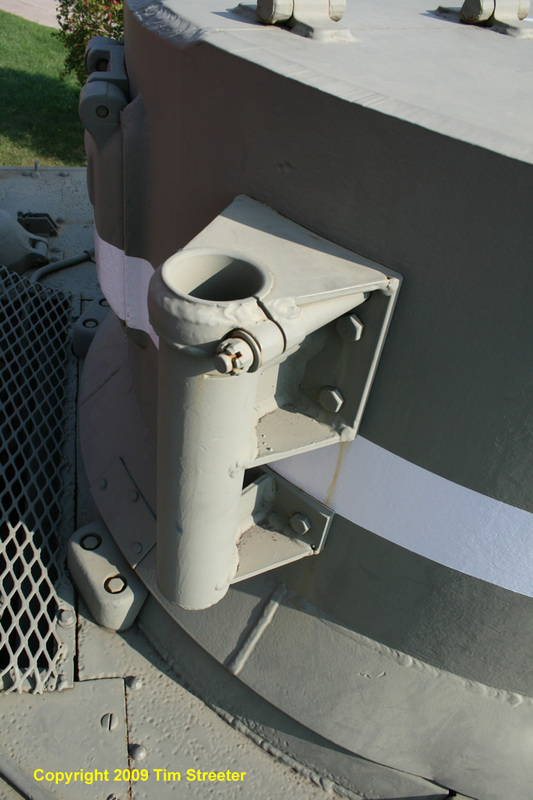 Periscopes and sighting mechanisms were upgraded. 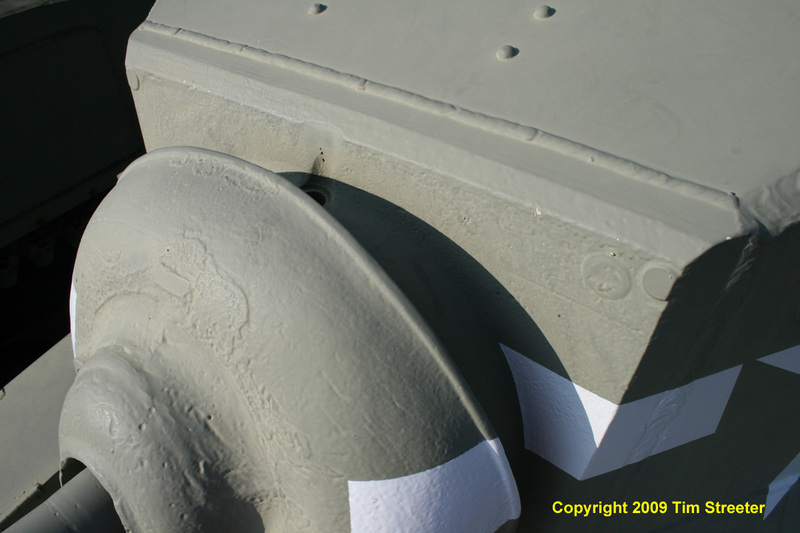 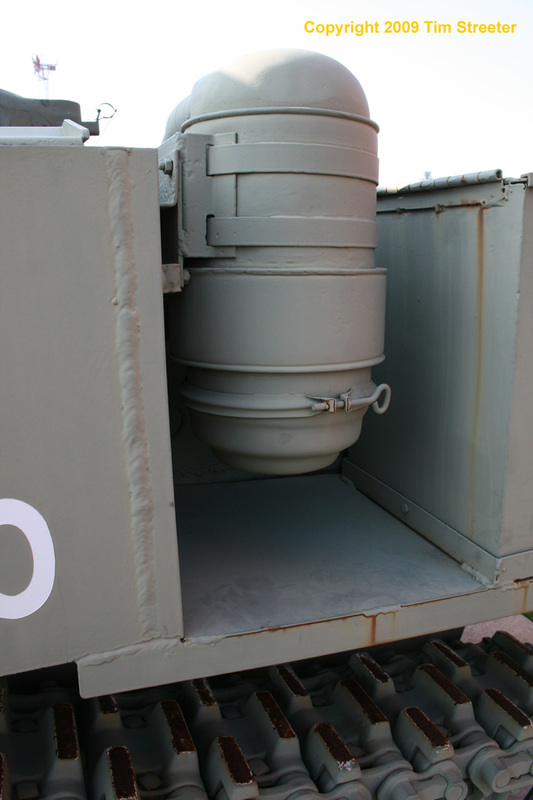 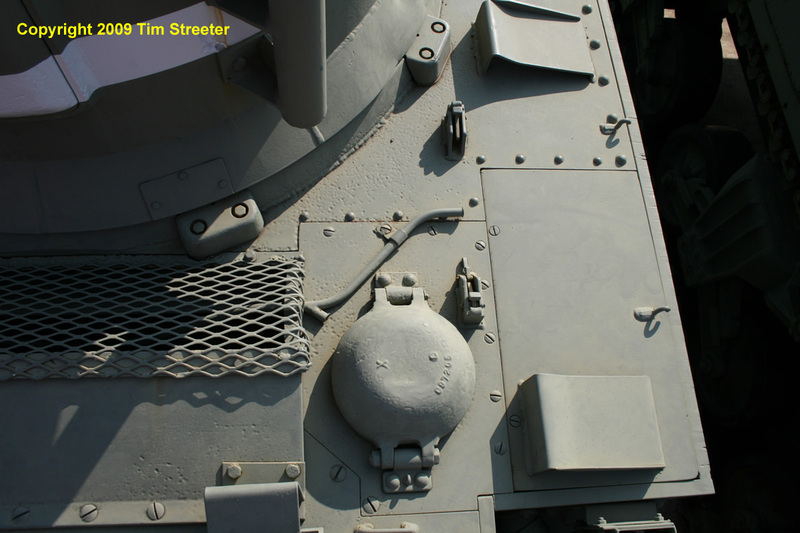 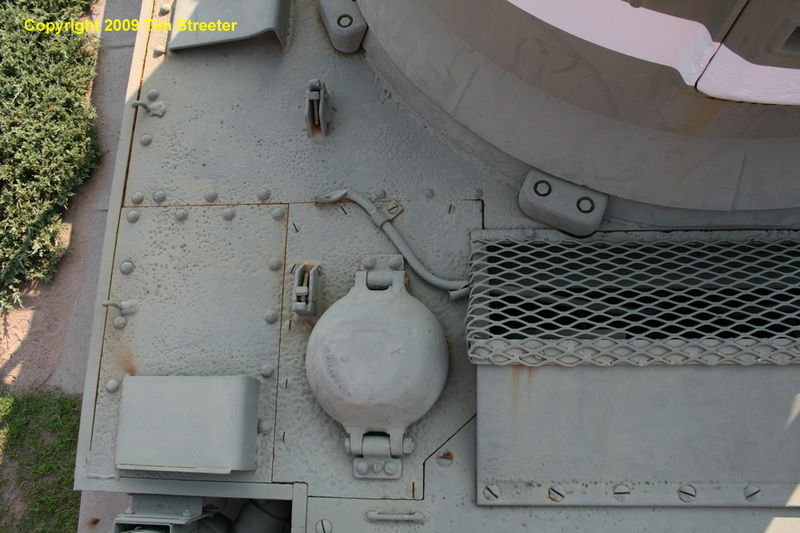 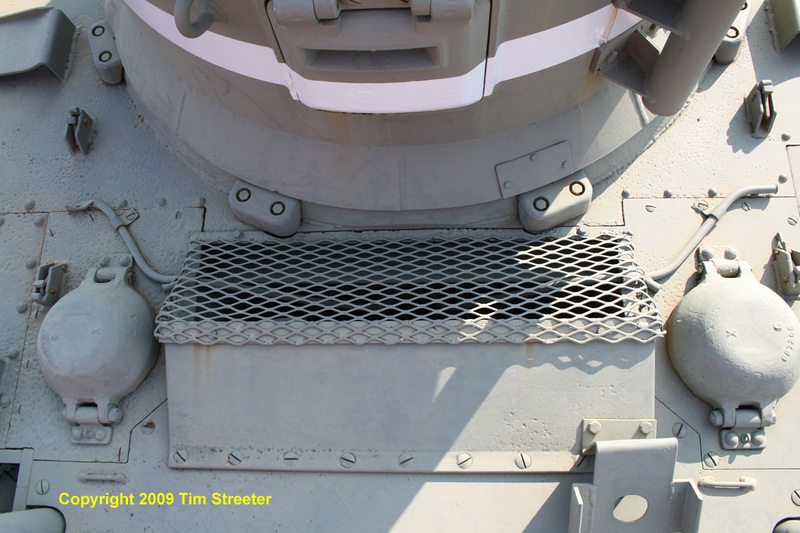 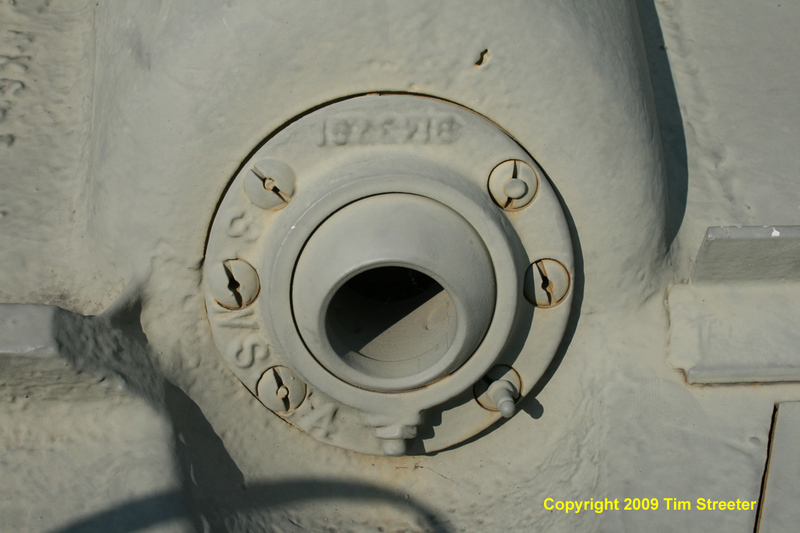 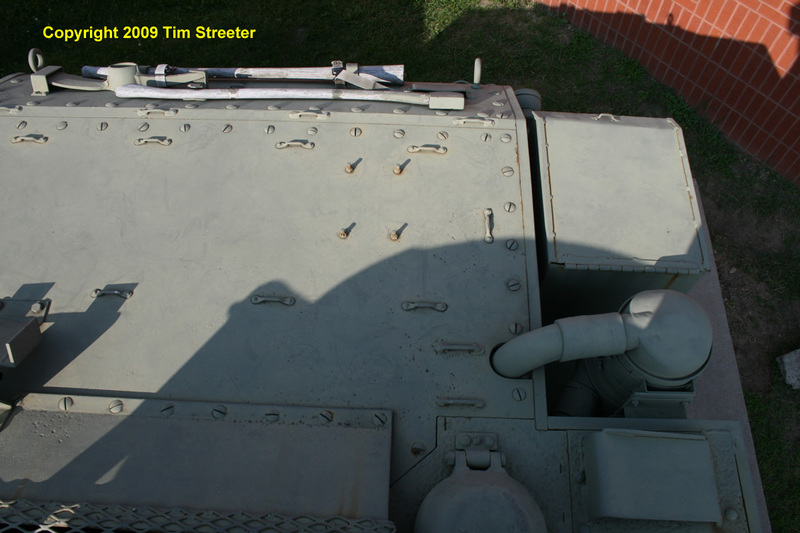 The introduction of a hydraulic traverse for the turret to improve the speed and accuracy of aiming the 37mm gun necessitated internal changes, including a basket with floor for the commander and gunner. 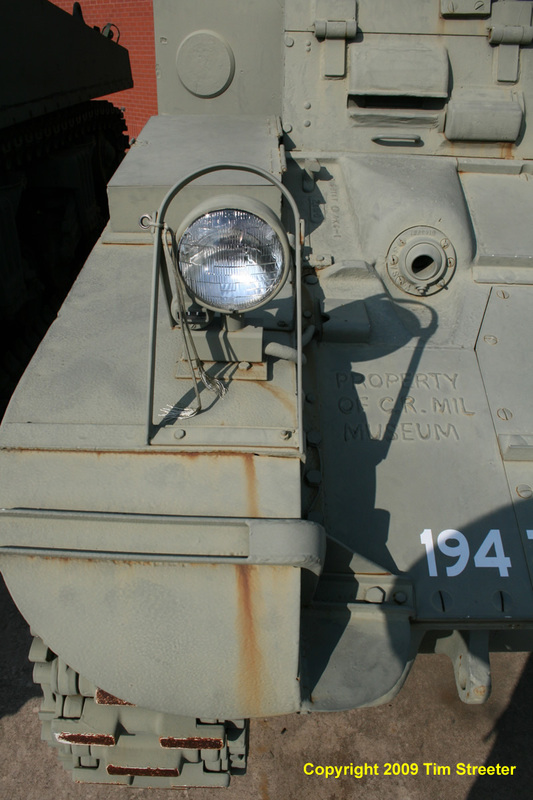 Production began in May 1942, and a total of 4,621 M3A1 tanks were built: 4410 with gasoline engines, and 211 powered by diesel. 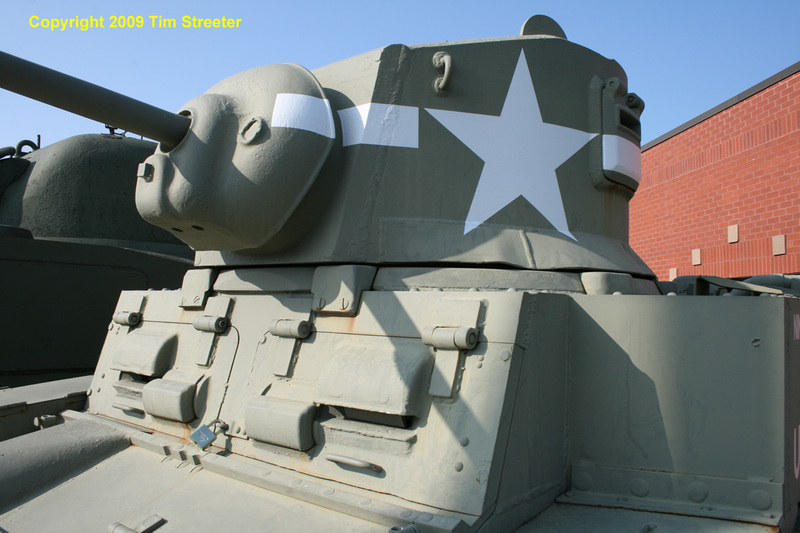 The U.S. shipped 1,594 to Great Britain and 340 to the Soviet Union. 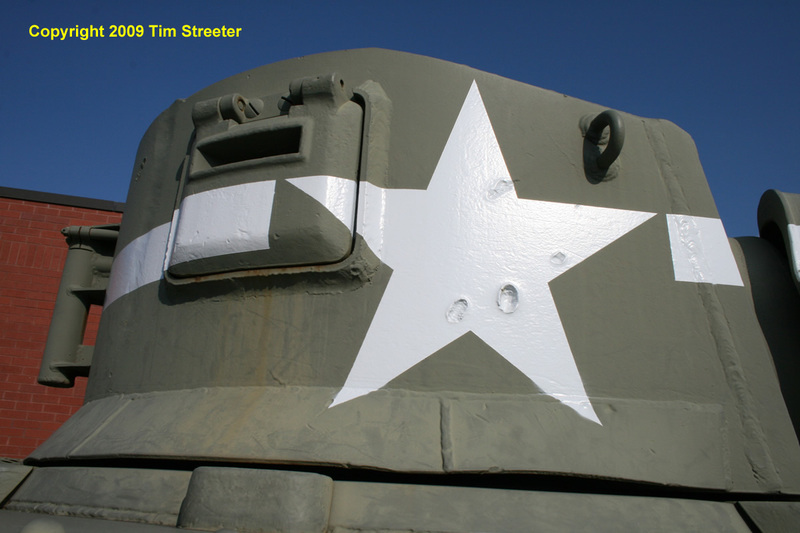 The Stuarts with U.S. forces saw action in the Pacific and North Africa. 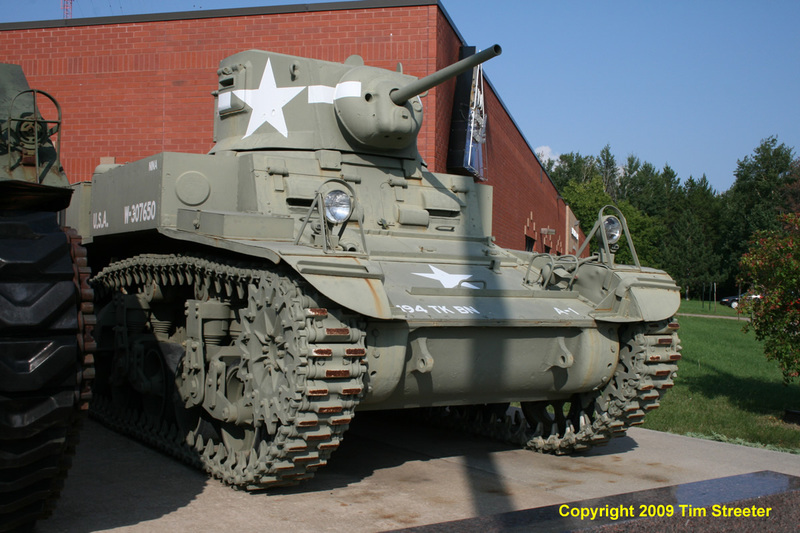 Eventually, after the M3A3 follow on, the Stuart morphed into the M5 variant. 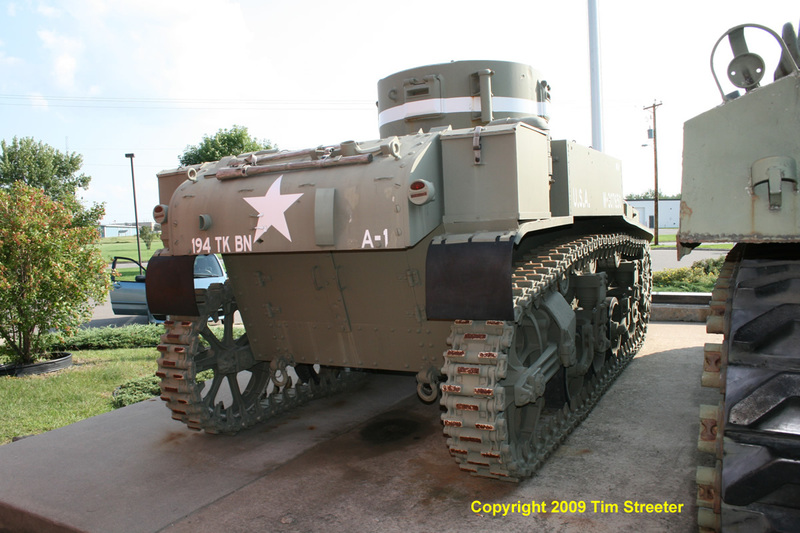 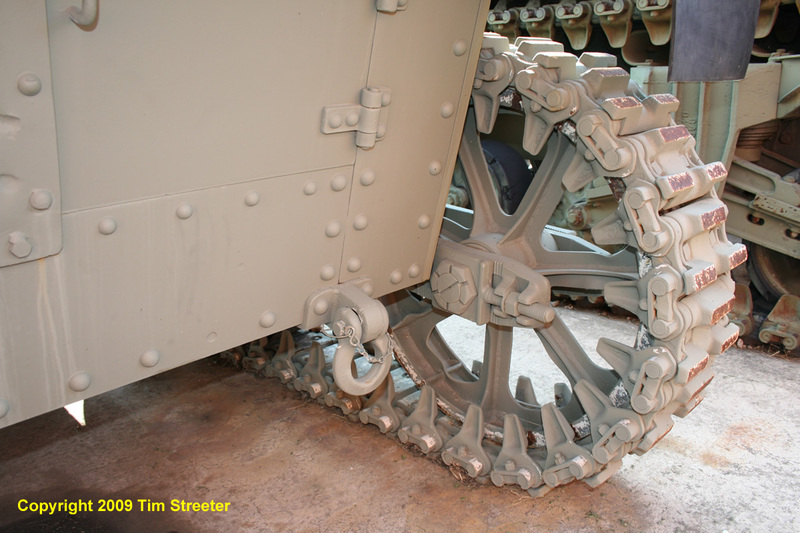 The earlier surviving gas-powered Stuarts were relegated to training vehicles; the diesel-powered versions in U.S. possesion had been demoted to trainers in March 1942 so the Army did not have to supply two types of fuel to the battlefield.